Take I-4 to Exit 72 East (Highway 528 - towards Airport). Get off at Exit 1 (International Drive). At the end of the ramp go North on International Drive (right) and on the second traffic light (Hawaiian Ct.) make a left. Chocolate Kingdom will be the first building after McDonald`s on the right side of the road. Travel West on Highway 528 and get off at Exit 1 (International Drive). At the end of the ramp go North on International Drive (right) and on the second traffic light (Hawaiian Ct.) make a left. 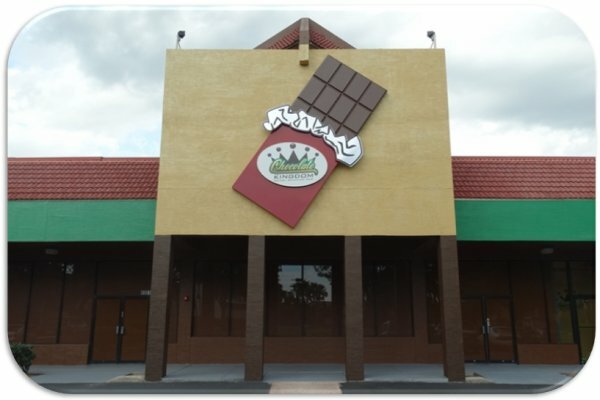 Chocolate Kingdom will be the first building after McDonald`s on the right side of the road.